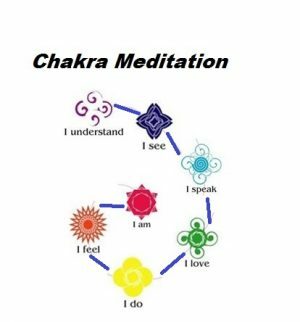 In Hinduism, Jainism, and Buddhism, a chakra is an energy point on the physical and spiritual body. It is derived from the Sanskrit word for wheel, Cakra. 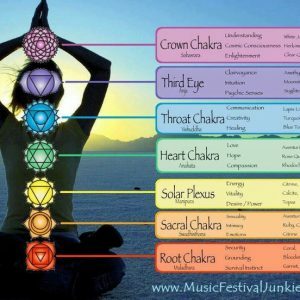 There are 7 main chakras, and many more minor ones, with each chakra having a specific location and function. 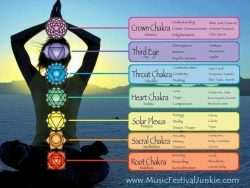 These 7 chakras are located from the top of the head down to the base of the spine. 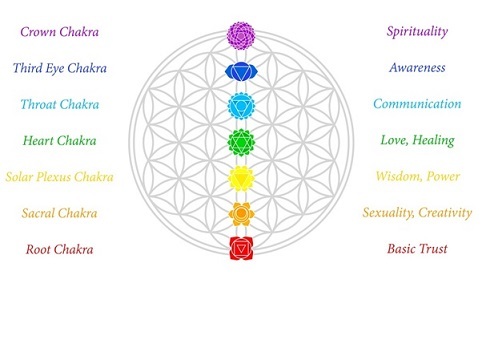 Each chakra has different locations and attributes, and are not something you can physically touch, but rather something you can feel and sense. The chakras are formed at the junction of three energy shafts along the spine. The two lesser channels of energy (the Pingala on the right and the Ida on the left) and the main central channel (the Shushumna) run parallel to the spinal cord. Chakras absorb prana (life force energy), and also transform and pass on this energy. Each of the seven chakras contains bundles of nerves and major organs, as well as one’s emotional, psychological, and spiritual states. Everything is moving, and therefore it is important that the chakras remain aligned and opened, for if there’s a blockage, energy cannot flow. Opening the chakra: Pray, meditate, sing, read inspirational books, and include ‘quiet time’ into your daily routine.